HD (High definition) offered us higher resolution and superior sound quality. It has been around for decade. But now it has become a thing of past. Tech aficionados now are looking forward to the 4K technology. It refers to the range of horizontal pixel resolution which is 4000 pixels. It is becoming an industry standard in Digital Cinemas, Digital television and digital cinematography. With more and more streaming media using this format, like YouTube and Netflix, users are in a search of finding a device which is compatible with the 4K format. Although the cheaper alternative is to use a good 4K video converter. So you can watch videos with superb quality and vivid details. How to Download 4K Videos to MP4. Wondershare Video Converter Ultimate is one of the fastest professional video converter for many formats, including 4K for Windows as well as Mac. It promises to deliver finest picture and sound quality. The 4K Converter has the ability to convert any video in any given resolution to 4K format videos MP4, with resolution of 3840 x 2160 or 4096 x 2160. The 4K converter is so powerful that it can convert 4K Camera videos, 4k HD Ultra videos or any 4K videos downloaded from Netflix, YouTube etc. to various video formats like MOV, DivX, AVI, FLV, AVI also HD WMV, HD MP4, HD MKV, HD TS, HD AVI, HD MPG, HD TRP 720p or 1080p, HD TS. 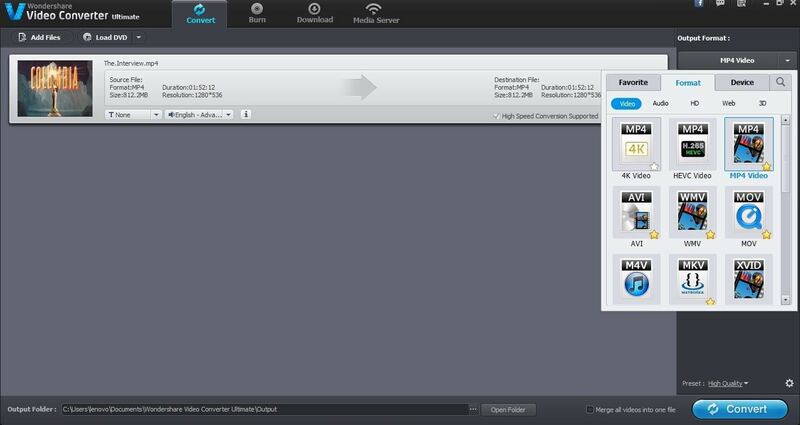 Apart from conversion it can edit, enhance, burn, organize and download videos too. Conversion of various format video to 4K MP4 in resolution 3840 x 2160 or 4096 x 2160. Conversion of 4K video, any 4K camera video, 4K videos downloaded from internet to standard format of videos MOV, DivX, AVI, FLV, AVI also HD WMV, HD MP4, HD MKV, HD TS, HD AVI, HD MPG, HD TRP 720p or 1080p, HD TS. Easy conversion of 4K videos for devices like iPad, iPhone, Apple TV, Android devices etc. Convert 4K for editing purpose in Final Cut, iMovie, Movie Maker, Song Vegas etc. Already built in 4K downloader to download videos in 4K format from Netflix, YouTube etc. 150 audio video formats available to convert. The 4K Video Converter in Windows version is compatible with Windows XP, Windows Vista, Windows 7, Windows 8, and Windows 10. 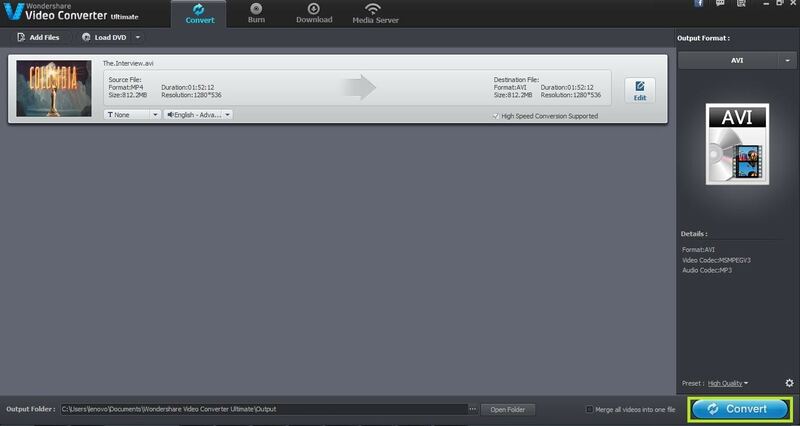 4K Video Converter is fully supported by Mac. Versions Leopard 10.5, Snow Leopard 10.6, Lion 10.7, Mountain Lion 10.8, Mavericks 10.9 and Mac OS X Yosemite 10.10. This is a paid software but it allows users to try for free for 3 conversions. To convert the 4k video footage to mp4 formats or any other formats, such as AVI, MOV, 1080p/720p/480p MP4, and WMV, you should begin by downloading the Wondershare Video Converter Ultimate Wondershare Video Converter Ultimateas ready, follow the steps given below: . 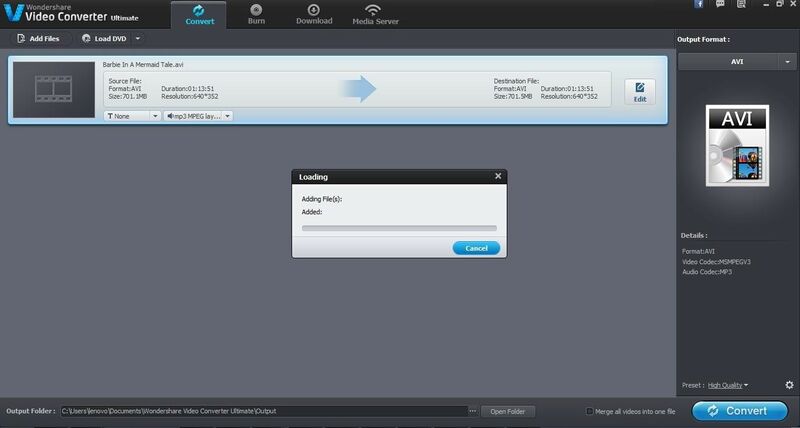 You should import the video files which you wish to convert to the Converter tool. There you have an option of directly using drag and drop into the application or by going to the ‘File’ button in the menu bar and choosing ‘Load Media Files’. Step 2. Setting the desired format. By clicking on the ‘Format’ button which is found in the bottom of the panel, it will open the dialogue box of format window. In the ‘format’ icon, you will find ‘video’ option. There select the format of ‘4K Video MP4’. Conversion of 4K or Ultra HD videos into other audio and video formats. Start by clicking the ‘format’ button found below in the screen. In the ‘format’ option select ‘video’ or ‘audio’ categories, this is where you will find various audio and video formats. Select the one which you require. For converting 4K or Ultra HD format video into MOV, WMV, HD MP4, MKV, WMV etc. in 720p or 108p, follow this method. Go the ‘format’ icon and select ‘HD’ option. Click on the ‘settings’ option on the bottom right side to open settings popup, here you can select video resolutions from 1920*1080 or 1280*720. Click on to the ‘Convert’ icon to start the process of converting videos from 4K MP4 videos to other formats or vice versa. This is how you can convert your video files. Part 2: How to Download 4K Videos to MP4. The foremost step is downloading the software and getting it installed. After installation, launch this program and browse through it to get a hang of it. Its user friendly interface will make your work a lot easier. 4K videos are supported in the browsers of Chrome, Firefox and IE. In any of these browsers go to the media streaming websites. Search for the type of 4K videos you like. Select one and play that video. In the browser when your video is loading, you will find a floating Download button. It will emerge at the above right corner of the video frame. Now one can download the video directly by clicking on to that download button. Then the program will start to analyze. 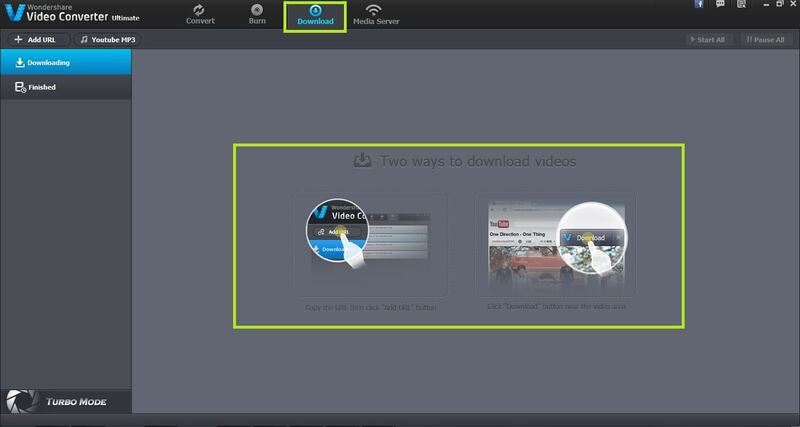 You can also find video related information like download speed, size and name of the video during download. Another way to download the 4K videos is by copying video’s URL and pasting it into the URL space given at the above left of the program’s screen. Then the downloading process starts. You should opt for dragging the URL into the program if file size is huge. Because waiting for video to load becomes arduous. Once the process of downloading is complete, double click on the video from the Download category to play. If the size of the 4K video is huge, try converting into different formats. So you can easily import into your other portable devices. You can do this by clicking on the ‘convert’ button which is displayed on the right side. If you want to edit the downloaded and converted MP4 video footage, we recommend you to try Wondershare Filmora, which is also supporting 4k video footage editing. Or you can check some free video editing software for mp4 video editing .